The name of your company can be critical to the long-term success of your business. Whether your company is a tech giant or a small start-up in your garage, choosing the right name for your business and brand can mean the difference between success and failure. For every FACEBOOK or FIVE GUYS, there are a thousand brands that fizzle before anyone knew they existed. Regardless of size, the best way to ensure that the name you want is available for exclusive use or federal trademark registration is to conduct a proper trademark clearance search. 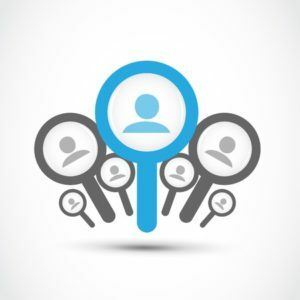 What makes a good trademark search, and how can you ensure no conflicts at the U.S. Patent and Trademark Office (USPTO) once you file a trademark application? A trademark search helps you to identify potential problems in pursuing a particular trademark name, slogan, design or symbol. A professional trademark search checks current trademark databases, business directories, and other registries to ensure that the trademark name you want to use has not already been registered or used by someone else in the same category you plan to use it. A basic knockout search highlights obvious obstacles that you may face when applying for a trademark. This includes exact matches of one or more trademarks already registered or pending registration at the USPTO. While simple and cheap, you can even do it yourself at no cost, a knockout search is limited and can be misleading if you don’t know what to look for. It may show that there are no matching trademarks registered or pending for the name you want to register, but this is not the whole story. The standard of review for trademark registration and trademark infringement is a likelihood of confusion. This is a determination of whether the average consumer in the marketplace, seeing two (or more) similar marks used in connection with similar goods or services, would likely be confused as to the source of those goods or services. A comprehensive trademark search, on the other hand, is the broadest method of trademark searching. A comprehensive search generally includes federal trademark records, state trademarks and other commercial uses of the trademark name that could affect your right to use and register the name. A comprehensive search includes the exact mark you would like to register, as well as any variations of the mark that may trigger a likelihood of confusion finding. A comprehensive trademark search shows the wider landscape of commercial uses for the name you want that may result in your application being refused at the USPTO, or third-party claims of trademark infringement. To illustrate each of the above, let’s consider a practical example. If you would like to trademark SNAPCHAT for use in connection with social networking services, a basic trademark search would reveal that there is already an active trademark registration for SNAPCHAT covering those same services. In this instance, there is an exact match for the name you are considering, so that name is obviously not a good trademark choice and should not be pursued. Under the likelihood of confusion standard, however, similar marks such as SNAPTALK or SNAPCHATTER, may not show up in a basic trademark search, but could result in refusal of your application for SNAPCHAT. While not identical, the marks are too similar. Under the likelihood of confusion standard, the USPTO considers similarities between the appearance, spelling, sound, connotation and commercial impression of the marks, and also the relatedness of the goods/services being offered. Sufficient overlap in any of these areas may result in refusal of your trademark application. Risk reduction, unnecessary expenses, and avoiding lawsuits are among the benefits that come with doing a proper trademark search. The earlier you search your prospective trademark name, the sooner you can determine whether it’s a winner, or whether you should go back to the drawing board. In waiting to search your trademark, you risk losing valuable time and money spent on labeling, packaging, branding and marketing. We offer a free trademark search tool on our website for you to conduct your own “knockout” search and eliminate obvious duds before selecting a name for registration. Our Comprehensive Trademark Search and Application package includes a search of the federal trademark database, state trademarks, domain name registrations and common law uses, as well as an Attorney Opinion Letter explaining the search results and how they may affect your ability to use and/or register the name you want. For more information on trademark searches, or to discuss whether the name you want is available for use or registration, please feel free to contact us for a complimentary consultation with one of our trademark attorneys, (800) 769-7790. We are always happy to hear from you!